The Swans, of course, were relegated along with Albion last season but have found life in the Championship a little trickier than Darren Moore’s men have done so far and are five points behind the Baggies in 10th place. Like Albion and the other relegated team, Stoke City, Swansea changed their manager part way through last season in a failed effort to stave off the drop and have subsequently changed manager again. For the Welsh club, it was Paul Clement who was sacked just before Christmas last year to be replaced by Carlos Carvalhal whose initial new manager bounce faded as the season drew on. Unlike Alan Pardew, the Portuguese lasted until the end of the season and, in common with most of their managerial appointments in recent years, Swansea eschewed the obvious and appointed former Baggies full back, Graham Potter, as their new boss over the summer. Potter made his name as a coach with Swedish club, Östersund, having been recommended to their chairman by a friend of his, none other than current Albion assistant head coach, Graeme Jones. The Solihull-born coach spent more than seven years in Sweden lifting the club from the fourth division to the heights of a Europa League round of 32 tie with Arsenal winning three promotions and the Swedish Cup on the way. He had been linked with a return to the Hawthorns but made the move to the Liberty Stadium in June. After winning their opening two games, including an impressive 2-1 victory at Bramall Lane, Swansea then won just two of the next eleven league games including disappointing home defeats to Bristol City and Ipswich Town. After losing 1-0 at Villa Park after the October international break, the Swans won three of the next four but then were hammered 4-1 at home to leaders, Norwich City, on Saturday. Many of Swansea’s better players, notably Alfie Mawson, Łukasz Fabiański and Sam Clucas, left the club in the summer with a total of 14 players moving away from the Liberty Stadium including Kyle Bartley, of course. Six players came in but only one of them, Kosovan international Bersant Celina, started the game against Norwich although Barry McKay did score the winner against Bolton in their previous match. However, one of their successes of the season, 22-year-old Scottish international Oliver McBurnie, is almost like a new signing having barely played for the club until this season. Having joined Swansea in 2015 as a 19-year-old, McBurnie spent much of his first three seasons on loan but made his debut for the first team in the EFL Cup in August 2016, scoring twice against Peterborough United. He failed to get a regular Premier League place, however, and was loaned out to Barnsley in January this year where he scored nine goals and won their Player of the Year award. He scored his first league goal of the season on the opening day and topped the Championship scoring charts early on scoring four in the first six games. After a barren spell, he scored a brace in the victory over Reading at the end of last month and followed that with a consolation in the defeat at Rotherham and has now scored seven of Swansea’s twenty league goals this season. McBurnie will be the main threat that the Baggies will need to deal with, therefore, as no other Swans player has scored more than two goals. 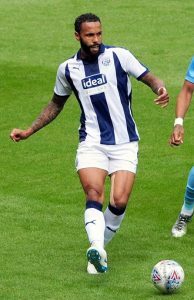 His former teammate, Kyle Bartley, won’t be troubled, however, as he is still ruled out through injury while the back four that have started Albion’s previous two games have performed well enough to keep their places anyway. Tosin Adarabioyo may have dropped an almighty clanger at Portman Road, but he has otherwise been excellent in the games against Ipswich and Leeds, and was also the best of the back line in a few games before that. He is still very young and playing in an unfamiliar position at full back, so I’d be willing to forgive the odd mistake anyway, but he has far exceeded expectations and, as long as he learns from Friday’s error, I’d be happy to see him continuing in that position for the foreseeable future. The performance at Portman Road did not reach the heights of the display against Leeds, but it didn’t need to. Ipswich offered very little for much of the game, but Tosin’s error and Albion’s unusual profligacy in front of goal led to a nervy finish, but despite the nail-biting in the away section, they saw the game out fairly comfortably. The late free kick was as close as they got and it would have been a travesty had the Tractor Boys grabbed an equaliser. 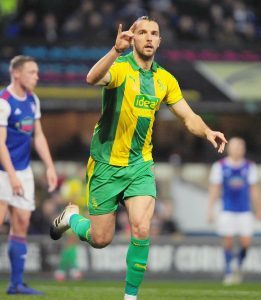 Nonetheless, Albion will not always get away with missing such chances with Jay Rodriguez probably as guilty as anyone although his movement for the opening goal was excellent. Hal Robson-Kanu did ok against Ipswich, but he unsurprisingly failed to match his performance against Leeds and I fully expect to see Dwight Gayle back in the starting line up at Swansea. Assuming everyone else is fit and raring to go, I’d be surprised to see any other changes from the starting line-up from Friday night. I guess there may be a question mark over whether James Morrison can play three games in a week, but with an extra day’s rest having played on Friday, and a five day break until the next match on Monday evening, there’s probably a good chance that he will be able to play all three. The midfield three has worked so well that it is difficult to see that changing, but Moore and Jones have surprised us before and they may see something in the way that Swansea play that warrants a tweak. Potter plays a 4-2-3-1 formation which may give the hosts an extra man in the middle although, at Ipswich, Gibbs played further forward than Tosin when in possession effectively making it a 3-4-3 when attacking. Swansea will obviously be keen to bounce back from the heavy defeat to Norwich, and while the Canaries are the form side at the moment, it was more the Swans’ dreadful defending than the visitors’ attacking play that was decisive with one of the goals reminiscent of some of Albion’s poor attempts to play our from the back. I’m sure that will not have gone unnoticed by Moore and Jones and, should Potter stick with those tactics, the Albion front three will no doubt be high up the field. With all the sides above them in the table playing on Tuesday evening, the Baggies could be playing catch up by the time that they kick off on Wednesday, or they could be looking to go within two points of the lead. 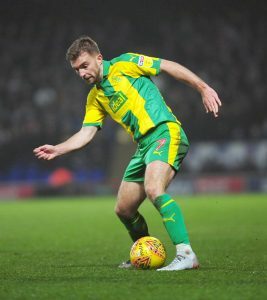 Norwich may be on a run of six successive victories and face what looks like a winnable game away to Hull, but we all know how unpredictable the Championship can be. 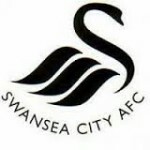 South Wales has not been a happy hunting ground for the Baggies over the years, having won just eleven times away to the three professional clubs in that region, but their record at Swansea is particularly bad with just three wins and four draws from their twenty-one visits to Vetch Field and the Liberty Stadium. It is, perhaps, slightly encouraging that two of those three victories have come since the Swans moved to their new stadium. Their only official victory at the Vetch came at the start of the first post-war season in August 1946. A brace from Davy Walsh and another from Frank Hodgetts helped the Baggies to a 3-2 win in the Division Two game, Albion’s first league fixture after the end of World War II. I referred to it as their first “official” win at the Vetch as they did win there 2-1 on the opening day of the 1939/40 season but when football was abandoned following the declaration of war, all results so far that season were expunged. Albion had to wait for the next century before next coming away from Swansea with a victory. It was March 2010 when Roberto di Matteo’s Baggies won 2-0 at the Liberty Stadium thanks to a penalty from Graham Dorrans and a late clincher from Ishmael Miller. The Baggies’ most crucial win at the Liberty, however, was four years later when Pepe Mel was in charge as Albion were fighting at the wrong end of the table. Before the match on 15th March, they sat in a precarious 17th place in the Premier League, four points behind Swansea, and were without a victory since New Year’s Day when caretaker manager, Keith Downing, had guided them to a 1-0 win over Newcastle. On the day, the hosts took an early lead through Roland Lamah, but the Baggies came back in the second half, equalising through Stéphane Sessègnon before Youssuf Mulumbu grabbed the winner with five minutes left thereby registering Mel’s first win as Baggies boss at the eighth attempt. One other memorable away game at Swansea was at Vetch Field in 1993 when the two clubs met in the first leg of the Division Two Play-Offs. The league game the previous December had ended goalless, one of only two such games that Ossie Ardiles’s free-scoring side had been involved in that season. It was a different story on that unseasonably cool Sunday afternoon in south Wales and, after a tight first half, the hosts took control of the game with two goals shortly after half time through Andy MacFarlane and Martin Hayes. The Baggies looked to be facing a very difficult task in the return leg but got a bit of luck when Paul Raven poked a ball goalwards, it hit the bar and then MacFarlane inadvertently diverting into his own net setting up that memorable night at the Hawthorns three days later. As with most games in the Championship, this is a difficult one to call. I’d like to think that Albion’s confidence will be up after the win on Friday and I think they might just nick this one.